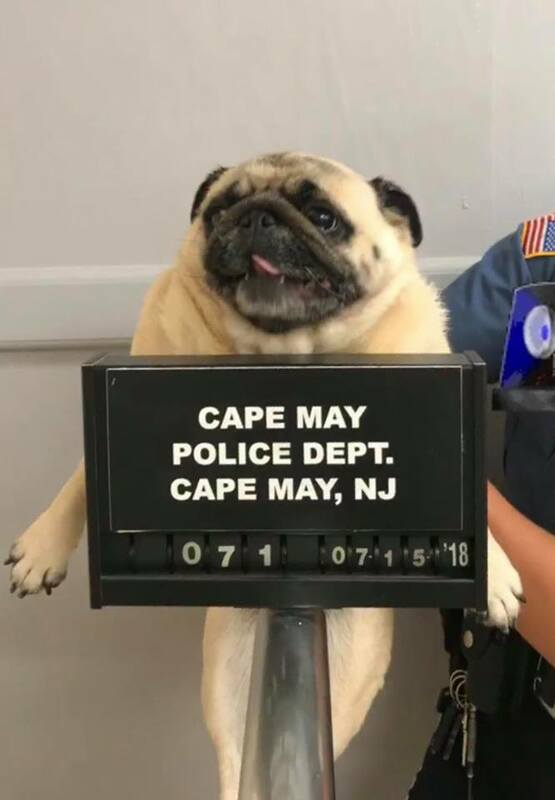 Cape May police have busted a runaway Pug. "This is what happens when you run away from home. This guy was captured sneaking through yards on the 1300 block on New Jersey Avenue. 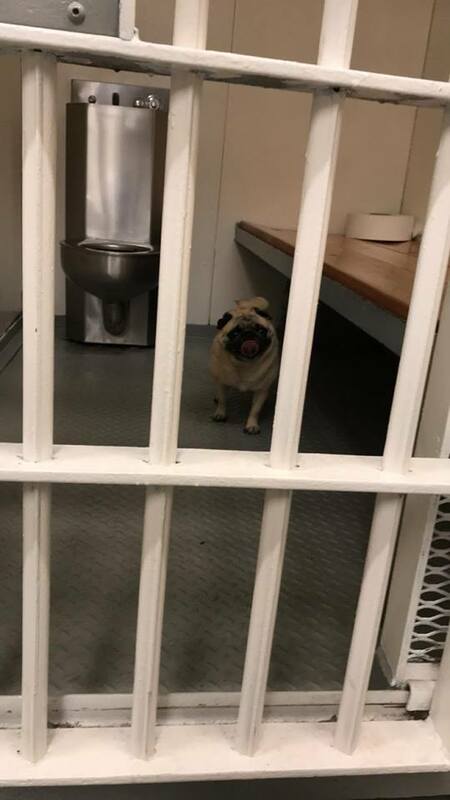 #pugmug"
Good news: "Update - the pug’s owner has been located and he [Bean] has been released on bail." "Thank you CMPD from Bean the pug’s family for taking such good care of her," Hadley Hubbard wrote. "She is sound asleep at home after an exciting afternoon on the run."